Still working on catching up from shows-cleaning house, laundry, sleep-all those mundane things:) But I did have the chance to work on a small creative endeavor this weekend. It’s far from what I usually do, but I have always enjoyed flowers. I also think it’s good for the creative process to be creative in as many ways as you can enjoy. 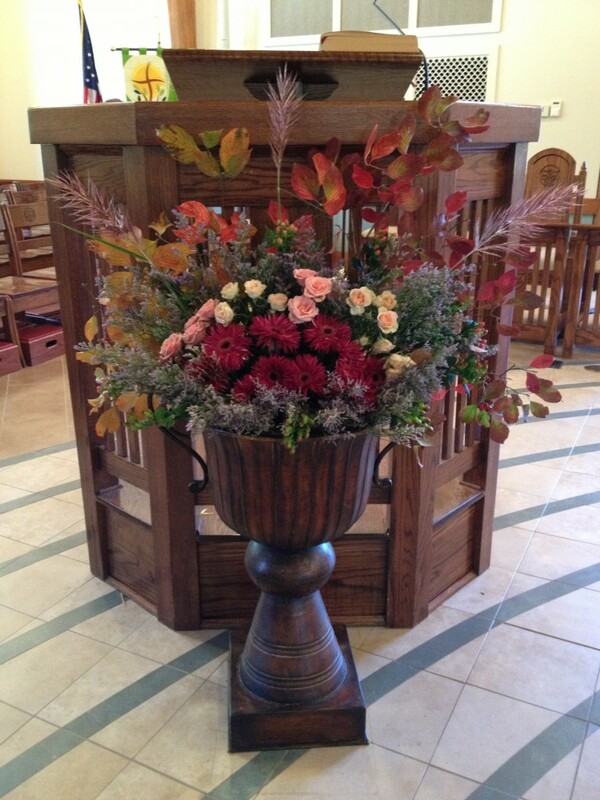 So I am part of the team that arranges the flowers at my church. We rotate weekends and this weekend was mine. So I very much enjoyed creating this arrangement! Next article Show this Weekend!